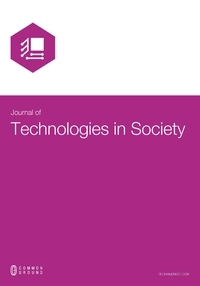 The International Journal of Technology, Knowledge, and Society explores innovative theories and practices relating technology to society. The journal is cross-disciplinary in its scope, offering a meeting point for technologists with a concern for the social and social scientists with a concern for the technological. The focus is primarily, but not exclusively, on information and communications technologies. The perspectives presented in the journal range from big picture analyses which address global and universal concerns, to detailed case studies which speak of localized social applications of technology. The papers traverse a broad terrain, sometimes technically and other times socially oriented, sometimes theoretical and other times practical in their perspective, and sometimes reflecting dispassionate analysis whilst at other times suggesting interested strategies for action. 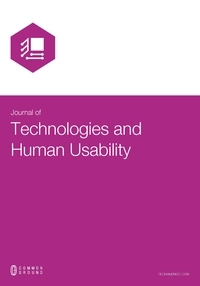 The journal covers the fields of informatics, computer science, history and philosophy of science, sociology of knowledge, sociology of technology, education, management and the humanities. Its contributors include research students, technology developers and trainers, and industry consultants. The International Journal of Technology, Knowledge, and Society is a peer-reviewed, scholarly journal. The International Journal of Technology, Knowledge, and Society currently has a 27% acceptance rate, based on 2017 statistics. Review scores are based on a clearly articulated rubric, and the result is a peer-review process that is scrupulously fair in its assessments, while at the same time offering carefully structured and constructive feedback that enhances the quality of the published article. Each year a top-ranked article from The International Journal of Technology, Knowledge, and Society receives the International Award for Excellence. We are committed to expanding the visibility, reach, and impact of research from the Technology, Knowledge, and Society Research Network. The International Journal of Technology, Knowledge, and Society can be found in numerous databases, accessible via the libraries of institutional subscribers, and in the CG Scholar Bookstore for current Research Network Members.